How are you today? 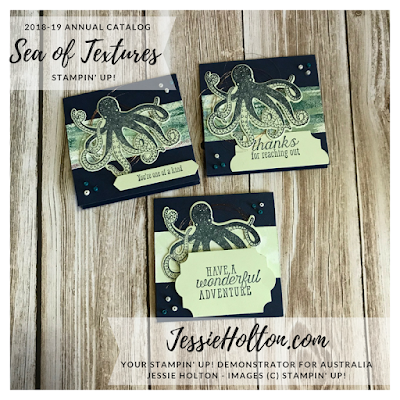 Here is another sample of what we made a Stamp Camp with the Tranquil Textures Suite. I just love this little octopus from the Sea of Textures Bundle! 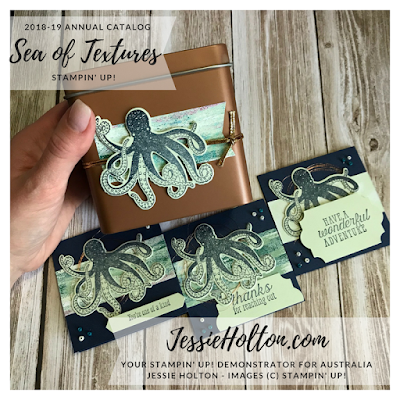 The box & card were decorated with scraps of Designer Series paper from the Framed Art Piece I showed you in the Go For Greece Blog Hop last month. 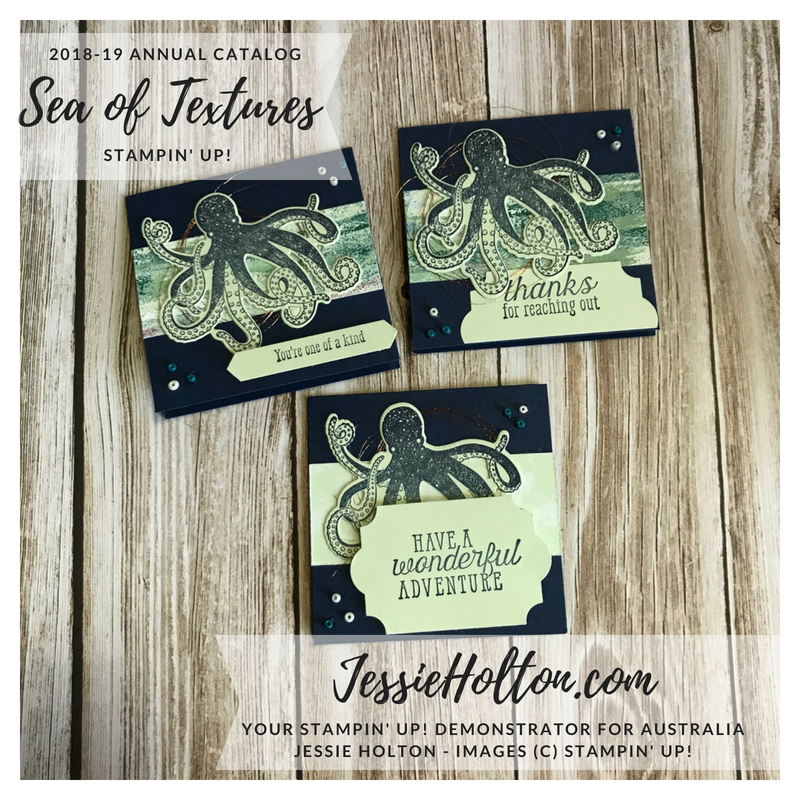 The octopi are stamped in Night of Navy on Soft Sea Foam cardstock & cut with the Under the Sea Dies. I have also used the Classic Label Punch & the Everyday Label Punch - one is cut in half. The Note Cards are 3 inches & on Night of Navy cardstock. I have also added some Copper Metallic Thread & some of the Tranquil Tide Sprinkles. The cards fit the 3 inch envelopes.